Thomas John Kummer was a free-spirited dreamer. At St. Benedict School in Highland Park, a staff member once told his mother: "He just sits in class and stares out the window and smiles." Later, as a young man, he became known as a pioneering hair designer, with a client list that included stars like Steve McQueen, Paul Newman and the members of the Rat Pack. Kummer — better known as Jay Sebring — become even more famous in death. He and four other people were killed in August 1969 in a house in California by followers of Charles Manson. Manson died of natural causes Sunday, according to the California Department of Corrections and Rehabilitation. But Sebring's relatives say they want people to remember how he lived, not the way he died at the age of 35. "What he did is he took everything out of a barbershop and made it OK for men to go to a beauty shop," said Sebring's nephew, actor Anthony DiMaria. "Essentially, women’s hair styling has existed since pre-Cleopatra, where men only had barbers. Jay literally created men’s hair design." Sebring, the oldest of four kids, was born in Fairfield, Ala. His parents moved when he was a baby to a home on Ferris Street in Highland Park, just down the street from St. Benedict. Sebring went to school there through eighth grade. Later, the family lived in a house in Detroit. DiMaria said as a child and teenager, his uncle was always drawing and painting. 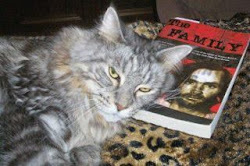 His favorite subjects included cars, pinup women and Hollywood celebrities. "He did a sketch when he was a teenager of what his closet would look like when he bought his own house, with the shoes lined up," DiMaria added. "He spent much of his childhood planning his future." Sebring was smart but didn't apply himself in school. He had trouble at University of Detroit High School and then went to Catholic Central. At 17, he enlisted in the Navy. Sebring hated the uniformity and look of military-issue buzz haircuts. So he figured out a way to trim his own hair so it looked better but would still fit within regulations. Soon, he was cutting his Navy buddies' hair, with a knack for providing custom styles that played up people's assets. "I just think that he was very passionate (about) getting the hair to frame the face. ... He always said hair should bring attention to the man’s eyes," DiMaria said. After four years in the service, Sebring came back to Detroit for about a year, working downtown in Grinnell's music store. He loved jazz. Then, it was off to California to follow his dream of working with hair. He attended cosmetology school and started styling women's hair. But his passion was for men's styling. With money from his family, he opened a small shop on Fairfax in L.A. It was rough in the beginning. He slept on the floor of the shop and had to repeatedly ask his family for money to keep him afloat. That was until an actress he was dating, Barbara Luna, brought in one of her famous friends to see him: singer Vic Damone. Damone was so pleased with his haircut that he gave Sebring a $100 bill — and told his famous friends about him. Sebring changed his name from Thomas Kummer to Jay Sebring at the urging of Luna, who thought he needed something more glamorous-sounding. "Jay" came from a childhood nickname and "Sebring" after the name of a racetrack in Florida. When Sebring was starting out, men only had one option for a haircut — the barbershop. But Sebring evaluated each man's hair, scalp and facial features, and gave him a personalized cut. For instance, he knew how leaving a hairstyle full in the back could help downplay a man's big nose when someone looked at his profile. 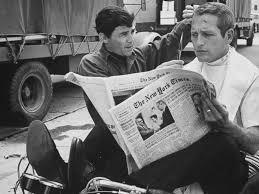 "Pre-Sebring, men went to barbershops. There were only 12 cuts you could pick: flat top, part on the right, part on the left ..." and men used a lot of oil and grease in their hair, DiMaria said. Sebring would say: "Oil is for machinery." Soon, all the A-list celebrities were seeing Sebring. He cut the hair of Elvis Presley, Marlon Brando and Milton Berle, to name a few. He styled the Rat Pack. He also gave Jim Morrison of the Doors his shaggy hairstyle. DiMaria said his uncle was also famous for creating a men's hair care product line. "This is a guy who was a groundbreaker, an image-maker," DiMaria said. Manson and members of his “family” of followers were convicted of killing Sebring, actress Sharon Tate and five other people during a bloody rampage in the Los Angeles area in August 1969. Prosecutors said Manson and his followers were trying to incite a race war he dubbed “Helter Skelter,” taken from the Beatles song of the same name. Tate, the wife of director Roman Polanski, was pregnant when she was killed at her hilltop home in Benedict Canyon on Aug. 9, 1969. Also shot to death the same night: Sebring, Voytek Frykowski, 32; Abigail Folger, 25, a coffee heiress, and Steven Parent, 18, a friend of Tate’s caretaker. Sebring is buried in Southfield's Holy Sepulchre Cemetery. Some of his family is still in Michigan. DiMaria, who lives in L.A. and Las Vegas, was 3 when his uncle was killed. For two decades, he has attended the parole hearings for the people involved in his death, speaking out about why they should remain behind bars. DiMaria is in the midst of making a documentary about his uncle. He has reviewed crime scene evidence, court testimony and old newspaper articles. One notable thing he learned, he said, is that his uncle died putting up a fight, contrary to some popular misconceptions. DiMaria said he's frustrated with how the crimes have become sensationalized in pop culture. He said when he thinks of what happened, he focuses not on the actual act but on the victims — who they were, what they had accomplished and where they were going in life. "People pay so much attention to the killers and murders that they forget the victims," he said. "That human dimension is lost." Five decades later, Sebring's influence can still be seen today. "If you were to look at any free-flowing haircut, if you look at a different haircut, where someone expresses themselves," DiMaria said, "that’s a direct manifestation of Jay." Venus sent me this article. Thanks Venus!!! Thanks Venus!! I've always thought Jay was a hero, he died trying to help the woman he still loved so much.